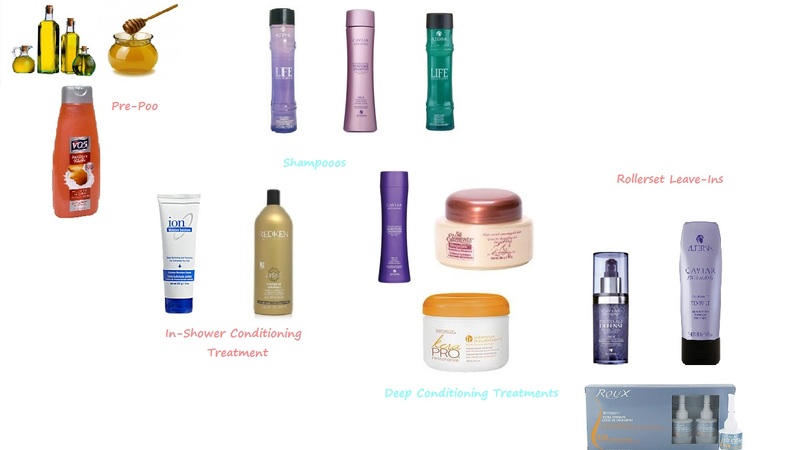 My Regimen | hair, there and everywhere! Gotta keep it simple!! Here it is! Note: If I co-wash, then I start with the “Condition” part. Sometimes I will add honey or conditioner, based on what my hair needs. I sit under the dryer or go about my business with a cap on my head. I leave this on for about an hour. I clarify with Alterna Life Clarifying once a month. I alternate weeks in which I use these deep conditioners. I steam the product into my hair every week for about 50 minutes, then rinse in cool water. After the deep conditioner treatment, I apply Roux 233 Porosity Control on my hair, leave it for one minute, then rinse in cool water. Then proceed to leave-ins for airdry, rollerset or blowout. About every two to three months or as needed with professional shears. As a girl living in NC I stumbled upon your blog. I have just started my HHJ and would love to chat. Please email me! Your blog is great!